You’ve probably heard it time again. Prioritizing your wedding must-haves is not only a time saver, but it can also save you money. Odds are though, wedding lighting isn’t at top of that list. Let’s face it, it’s not as fun as picking out things like flowers, decor, and food. But we have 5 reasons why you need to rethink your lighting game-plan. 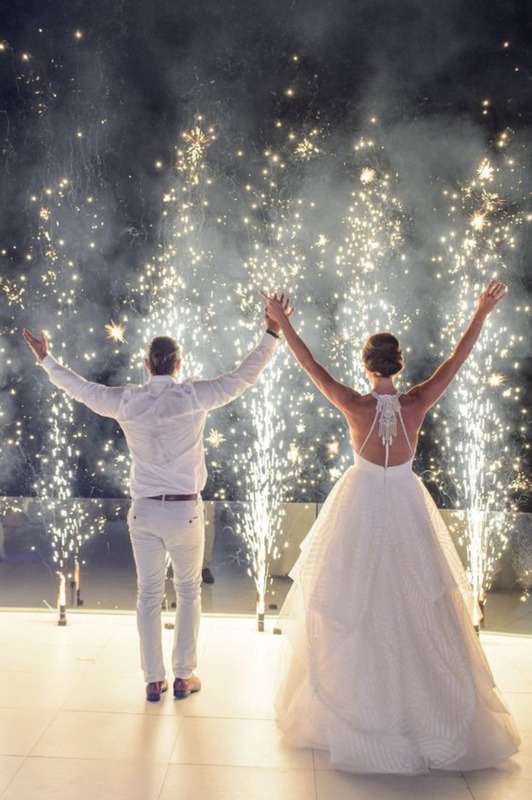 From creating a visual aesthetic to keeping your guests safe, don’t let this important detail go unnoticed or your wedding might end up in the dark! Let’s be real here, hiring a lighting professional can be expensive. But there are affordable options in terms of what types of lighting you choose. 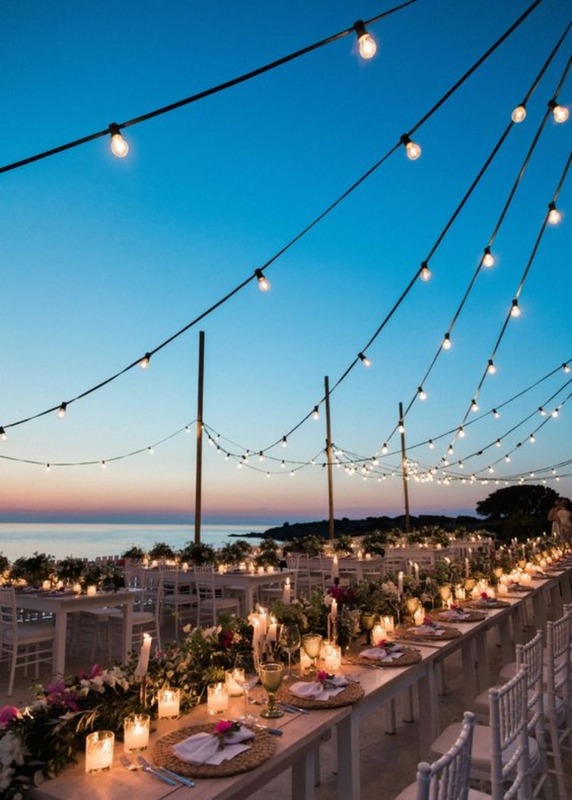 If you want a romantic atmosphere for your outdoor reception, you can’t go wrong with an inexpensive option like string lights. 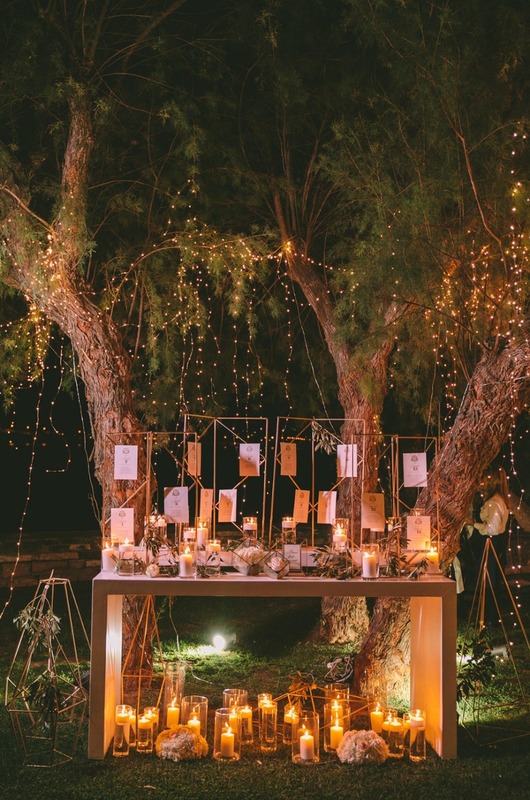 Lanterns on tables and even soft candlelight adds to the overall visual aesthetic. 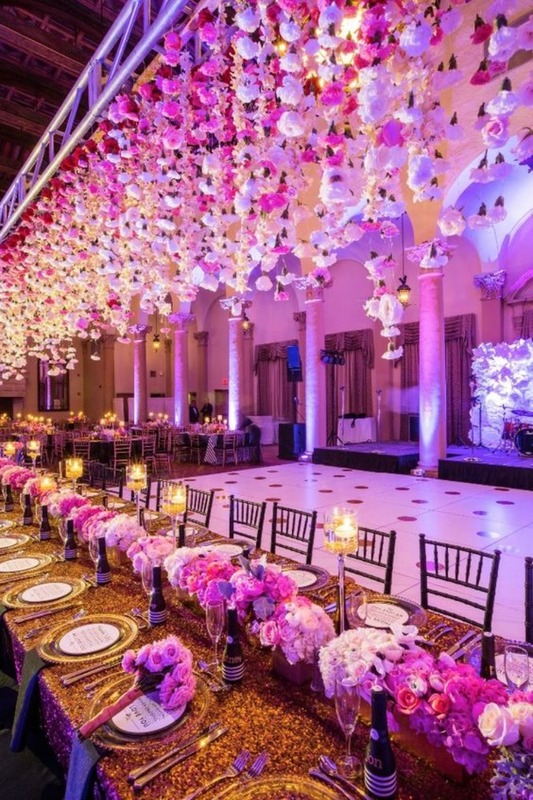 Make lighting a priority when choosing decor especially if you’re planning a night reception. 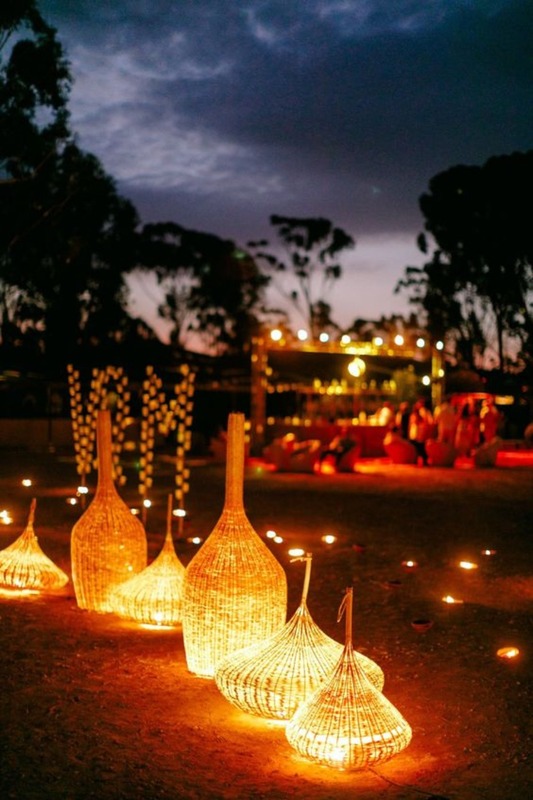 Lighting pathways for guests is a huge MUST-HAVE. Nobody wants their guests tripping over their own feet because they can’t see the ground. Make sure there is plenty of lighting available in all the event spaces and walkways. One great option is adding landscape lighting to trees and bushes, garden path lights or even lanterns in baskets (see below). Whichever design you choose, make sure all your guests can move about the wedding venue + parking area safely. Good lighting equals great photos! 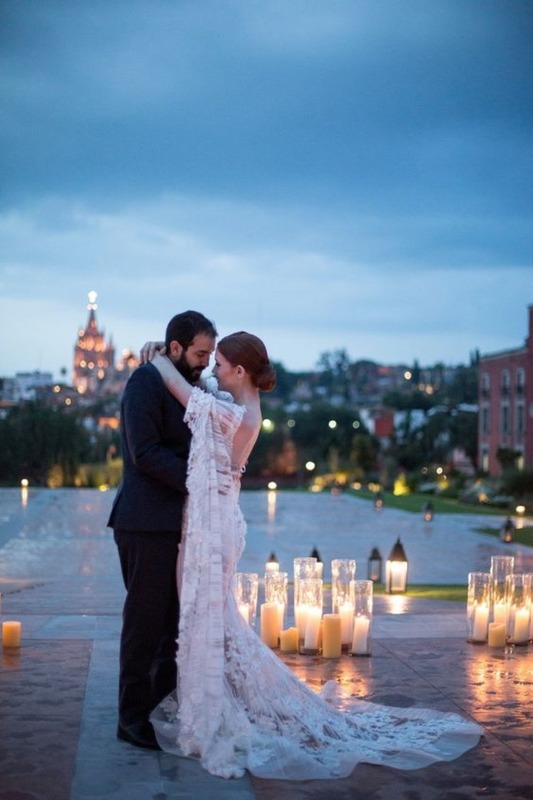 Now you don’t have to uplight your entire wedding to make this happen. But highlighting key areas (see below) where photos will take place can definitely help out your photographer and make your photos that much better. So which areas should you add more lighting to? Think about where things will happen, and how much work you’ve put into designing something. 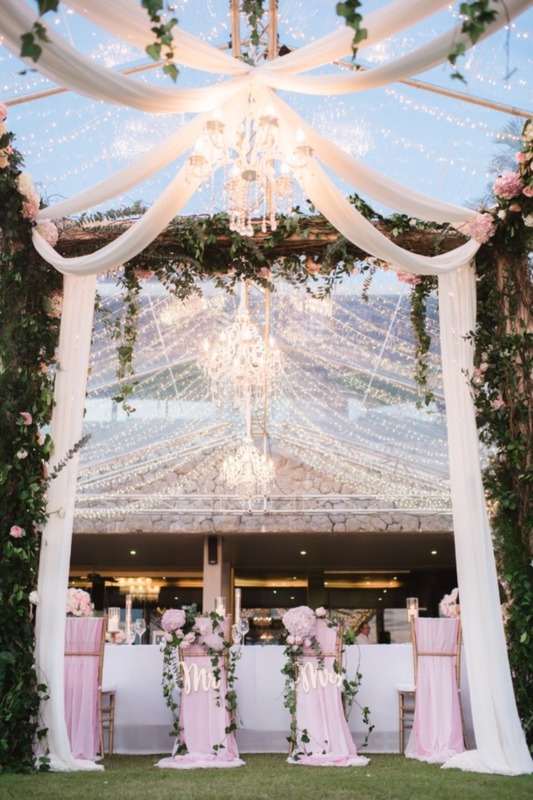 Your reception tables, your sweetheart table, the cake table, the food/drink area, and the dance floor are just some of the main areas you’ll want to add lighting to. It’s all for nothing if that beautiful cake table gets left in the dark! Last but not least, if you want your guests to party all night long then set the right vibe for your dance floor with some ambient lighting. Indoor or out, your guests are more likely to dance if they can see where they're going, plus it'll make for some amazing photos. Ready to take the plunge? Find lighting professionals in your area from our vendor guide now.